Temporary haul road in Wareham! Ground-Guards Ltd do it yet again! 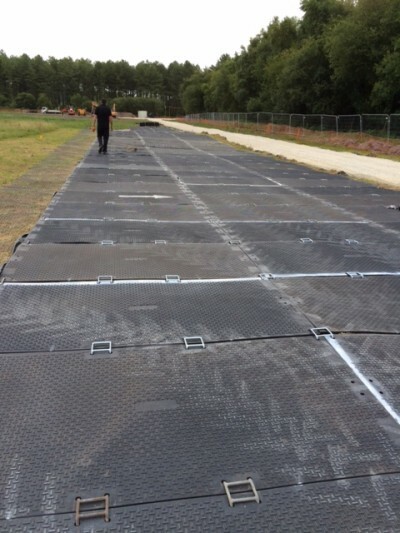 Tasked with coming up with a solution to allow vehicles to drive across this muddy site, we used our standard 1.2×2.4mtr ground protection boards to create this 7.2mtr trackway. Net result? A happy customer who can safely take their vehicles across this muddy site without fear of getting bogged down and stuck.